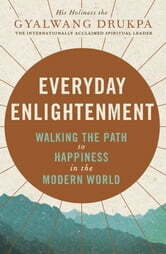 Everyday Enlightenment brings ancient wisdom into the modern world. 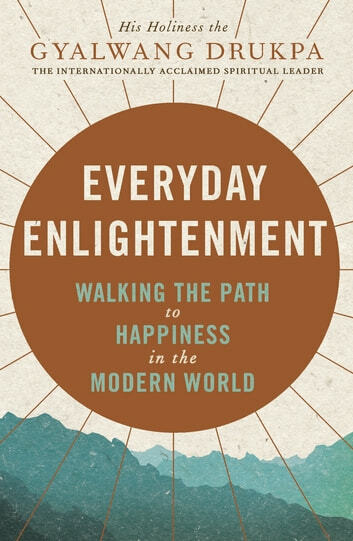 Teaching through stories and example, His Holiness the Gyalwang Drukpa shows you how to let go of your ego and stress, turn anger into compassion, and transform your fears into courage. The spiritual head of the Drukpa school of Buddhism, His Holiness the Gyalwang Drukpa has taught millions of students worldwide. He is also an active humanitarian, working on projects with celebrities such as Richard Gere and Joanna Lumley. Michelle Yeoh is a global ambassador for his Live to Love initiative, whose core causes include the protection of the environment and spread of education.